Allu Sirish has been longing for a hit for a long time now. Do you think, this new film has given him what he was looking for? Well, get your answers through Srirasthu Subhamasthu Review Rating right here. So do read the review before you book your tickets this time. Srirastu Subhamasthu theatrical trailer has given an idea on what exactly the plot of the movie would be. Sirish falls for a girl, Lavanya Tripathi. Bhale Bhale Magadivoy famed actress Lavanya Tripathi has come out of her comfort zone and has done some unconventional role which might prove her worth for sure. The plot can be depicted as how Allu and Lavanya Tripathi struggles to win their love with the family. You can take a look at its trailer down below. All bets on the flick for Sirish. In a recent interview, Allu Sirish has even said that this film is special. He stated that since this is a family drama, it would be his way into the audiences. He even signed few more films which show that Srirastu Subhamasthu might be the one he is waiting for. Coming to the review, the plot is a regular one and what makes it different is the making. Yeah, you heard it heard. You find many comedians and also veteran actors too. Prakash Raj, Rao Ramesh, Tanikella Bharani has played prominent roles. Allu Arvind is releasing this new Telugu films in his banner Geta Arts. The Comedy was compelling; music was heart warming. Allu Sirish improved significantly, and Lavanya Tripathi excelled in her role. Director Parasuram has definitely done his ground work and brought the best out of all the actors. The highlights of the film include heroine’s characterization, family drama scenes in the second half and also the climax. Allu Sirish is on the right path as he is not trying to become a mass actor which is overcrowded at the moment. On the whole, Srirasthu Subhamasthu is a must watch film for this weekend. We would like to rate Srirastu Subhamasthu 3/5 stars. Do share your views about the movie. 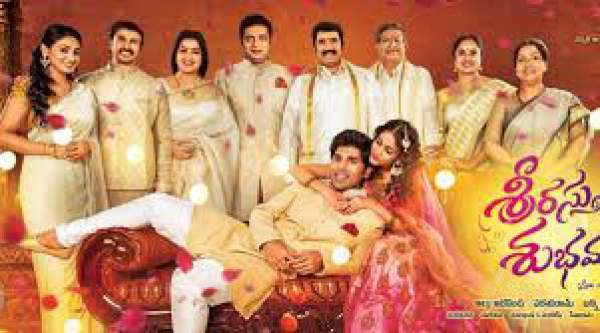 Stay tuned for box office updates and share your Srirastu Subhamastu movie review.